I came across this recipe on Pinterest.com The recipe is located here. You could customize these cookies for any holiday simply by changing the color or the frosting and adding some holiday sprinkles! I actually made half the recipe for the dough and the frosting. 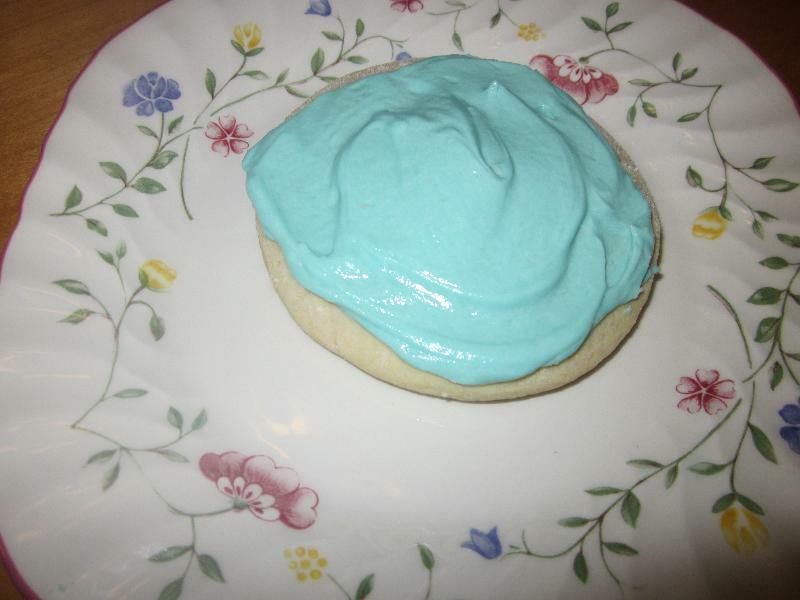 When I make these again I would still halve the recipe for the dough but I wouldn't for the frosting as I loved the frosting and wished that I had more to put on the cookies! The texture of these cookies was so soft just like the store bought ones! Use the flat beater attachment to cream the butter and granulated sugar on medium speed until it is light and fluffy. About 3 minutes. Next add the eggs, one at a time. Beat until each egg is incorporated. Then add the vanilla and sour cream and beat at low speed until combined. Then add the dry ingredients and beat at low speed until just combined. The dough will be a bit ?sticky?. Next divide the dough into two sections. Flatten the dough into rectangles about 1 1/2 inches thick, then wrap with plastic wrap. Chill the dough in the refrigerator overnight or at least two hours until firm. Line 2 large baking sheets with parchment paper or spray them with nonstick cooking spray. Use the plastic wrap that you chilled the dough in and dust the top of the dough and then flip and flour the other side, keeping it on the plastic wrap. Use a rolling pin to roll the dough out to 1/4-inch thickness. Using a round cookie cutter to cut the dough and place on a baking sheet. Bake the cookies for 7 minutes, until pale golden. Use the paddle attachment to cream together the butter and the vanilla. Then slowly beat in the powdered sugar. Once the frosting is smooth and creamy, add in the heavy cream, 1 tablespoon at a time until the frosting reaches the consistency that you desire. Use the mixer to mix in the food coloring. When the cookies have cooled completely, frost and add sprinkles. Finally allow the frosting to set and then store in an air-tight container. Let cookies sit for several hours before serving to allow the flavors to develop. 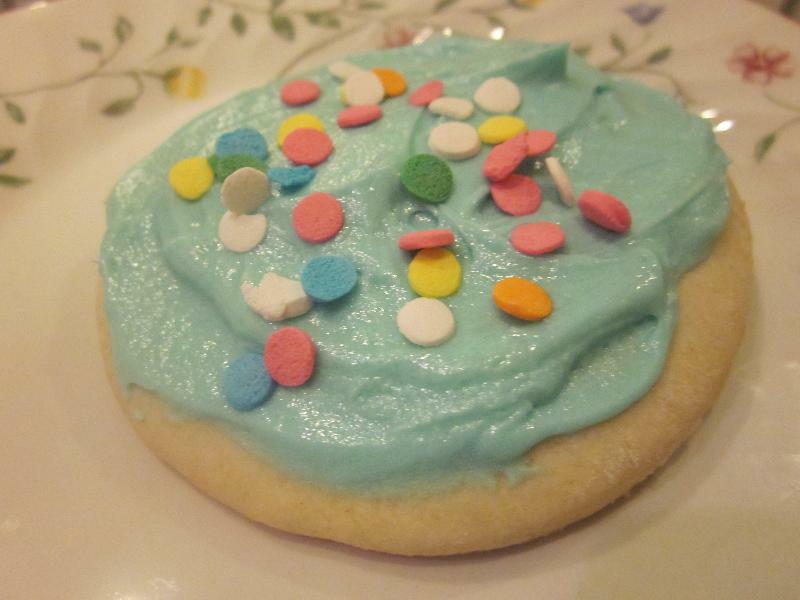 Description: A fun cookie to eat!